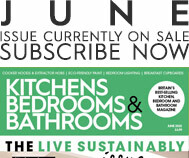 Are you updating your bathroom or ensuite? This month, five lucky KBB readers have the chance to win one of Vado’s new Velo adjustable rigid riser shower columns. Finished in chrome, the stylish fixture combines practical fittings with a contemporary design to offer the latest in shower performance. 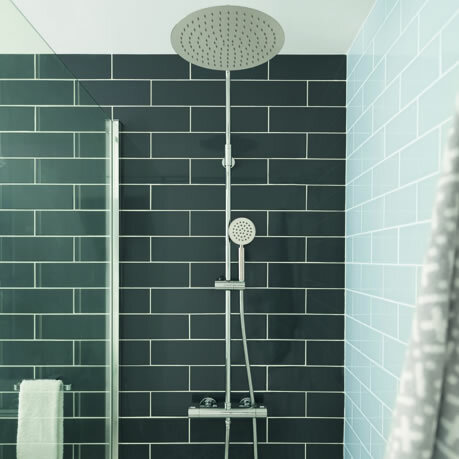 The new column includes an exposed thermostatic valve, slide rail, handset, and fixed shower head, while the round or square rails are adjustable, allowing you to tailor the fixture to your height and to the depth of the space – ideal if your bathroom or ensuite has bowed walls or low ceilings. Founded in 1988, Vado has more than 30 years’ experience in designing and manufacturing high-quality bathroom fixtures. Its full range includes showers, basin taps, and accessories so you can find styles to kit out your bathroom. Browse the collection and for more information, call 01934 744466 or visit vado.com. What finish does the shower column come in?